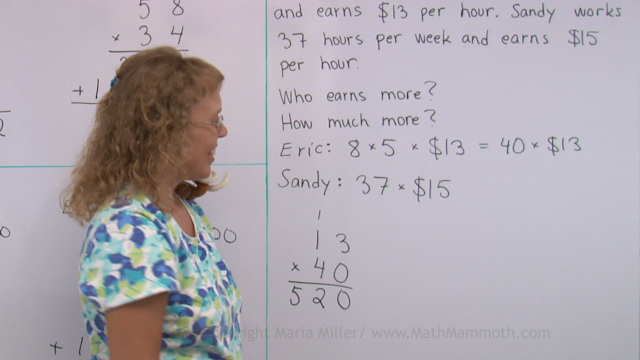 This is a collection of free math videos for 4th grade, showing varied exercises for each topic. 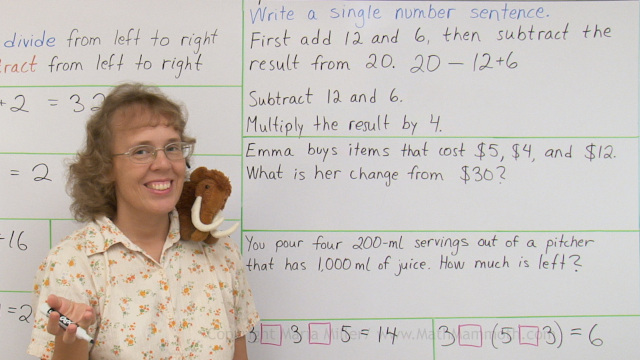 They match Math Mammoth Grade 4 curriculum but will also work no matter which curriculum you follow (in other words, the videos don't rely on you having Math Mammoth curriculum). Please choose a topic from the list. Please realize this is not a complete coverage of all 4th grade math, and I hope to add to the collection in the future. Also, some of the videos are older work of mine, but listed here in case they are still helpful to some. What is a factor? A multiple? What does it mean to be "divisible"?